It’s not every day you get invited to the White House. 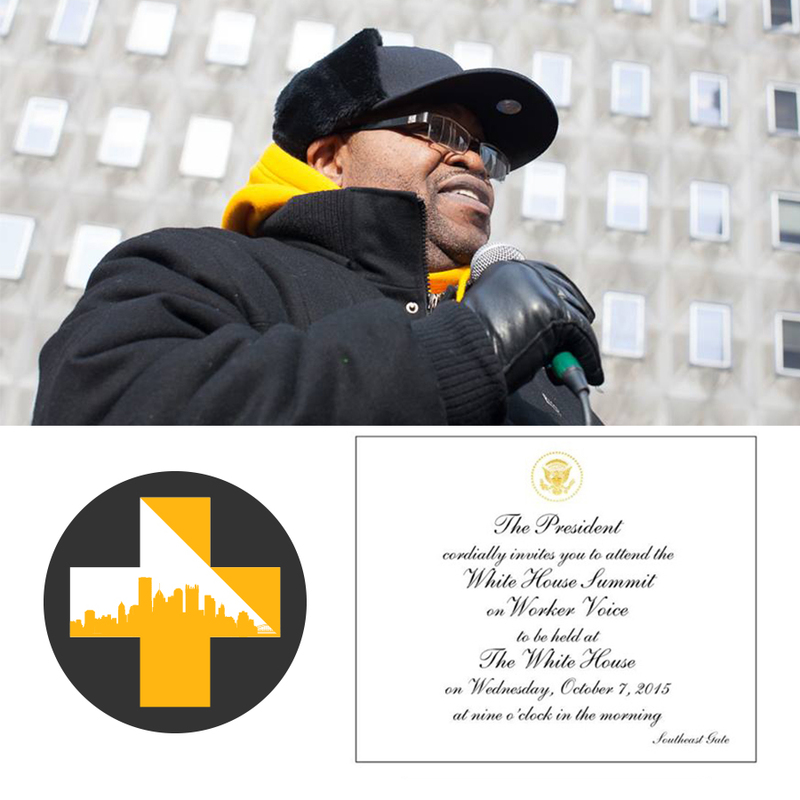 On Wednesday, October 7, Lou Berry, a local resident and housekeeper at UPMC Montefiore will head to Washington, D.C. for the White House Summit on Worker Voice. Lou took some time this week to share how he’s feeling ahead of the trip. I am a proud native of Braddock, PA – born and raised in the town that built America. Braddock has also been known as a fighting town. Braddock is also where billionaire industrialist Andrew Carnegie built his first steel mill, the Edgar Thompson Works, and where between there a mile across the river, in Homestead, some of the most deadly labor battles in US History took place. This is part of who I am and why as a worker, I fight for better. I’m also a husband, father, grandfather, son, and a lover of all Pittsburgh sports. I’m a musician, fashion lover and fisherman. I stand up for all of my coworkers and I’m getting them involved in forming our union. Corporate greed, income inequality and large predatory corporations are eating away at the middle class in America and it’s time to address this. I’m grateful for the opportunity to visit the White House and share the struggles of low income folks and the working poor and what we’re doing to improve our workplaces and our communities. You can follow my trip to Washington on Twitter.com/Pghhospitalwork. Congrats Lou! 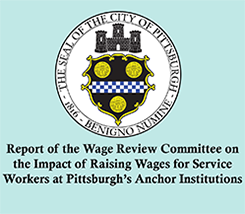 This is a big step forward for hospital workers in Pittsburgh. When you speak out and share your story, you never know where it will lead. And now, you’re headed to the White House! 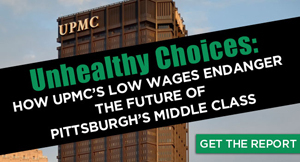 Thank you for standing up to UPMC and standing up FOR Pittsburgh! Congratulations, Lou! I hope your story is shared with as many people as possible. Will radio and TV pick up on this? The Post-Gazette and Trib? They should and if they do I hope that they include coverage about “corporate greed….large predatory corporations”. I know you will continue to stand strong. I try to do what I can to support my brothers and sisters at UPMC fighting for union representation. It’s so awesome to see someone get this far!! I wish you all the best Sir!! I feel like I was unfairly pushed out of my job, for speaking out, about the need for unions in UPMC… I went from having a award named after me (which I refused) to being fired & denied unemployment??? Seeing this brings me out of my depression a little. Prayers for a safe, blessed, & constructive journey. Your courage and leadership are an inspiration to us all.